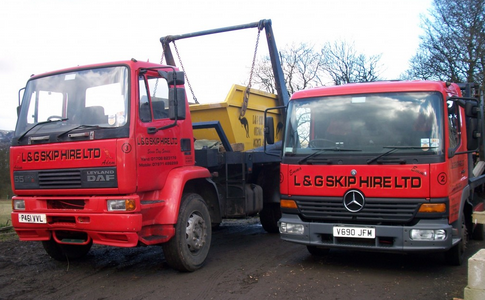 About Us Here at L&G Skip Hire Ltd, we are dedicated to providing the highest quality service in waste removal. We offer a range of different sizes to suit every pocket and need. Our prices and services we offer are all available on our website and please feel free to contact us with any queries. Our Numbers are: 01706 823176 or 07971 823176. 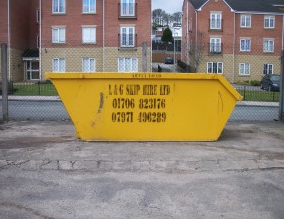 Prices and Services We provide a personal waste removal service, but can cater to needs of any size with our range of size of skip. Our current prices: 3 Yard - £70 inc VAT, 4 Yard - £95 inc VAT, 5 Yard - £105 inc VAT, 6 Yard - £115 inc VAT, 8 Yard - £155 inc VAT. 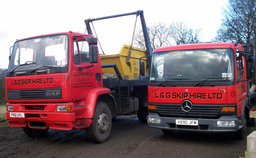 If you have a special request or looking for contract work prices, feel free to call us for more information.